Fall, where it all ends, where it all begins. This post is proudly presented together with Polarn & Pyret. Isn't fall the time of the year when we all settle for a more quiet and calm season. I really look forward to the stillness, the light, it's like nature reminds us all of a new beginning and it all starts here. 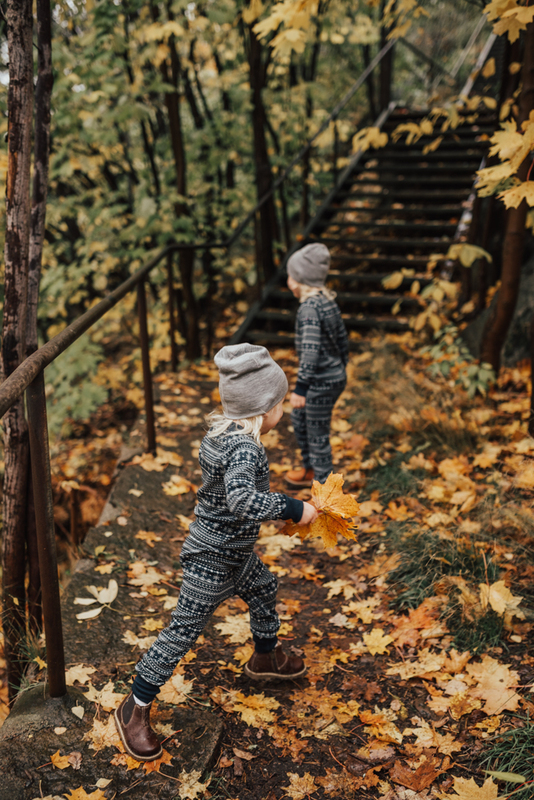 We live so close to a forest, these pictures are taken just outside of our doorstep, and I wanted to take out the kids to try a little experiment. 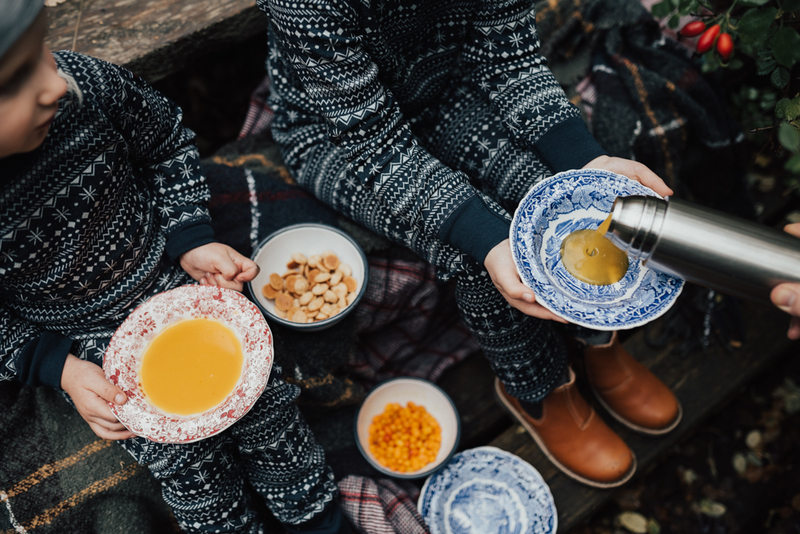 Swedish kids are brought up on rosehip soup, something we always bring with us outdoor when it is getting colder, just to stay warm. Its pretty hard to make on your own and its so sweet so I wanted to try to make my own energy soup for the kids. So instead I bought Swedish organic sea buckthorn and sweetened it with honey and the kids loved it. They tried both versions but they just loved the sea buckthorn so I will definitely continue to make that for all our coming fall adventures. 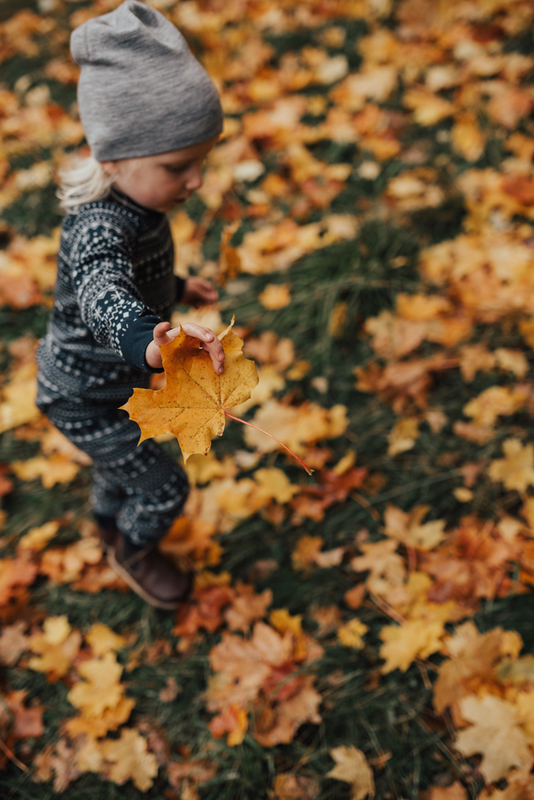 My little one is exploring here fall like never before, she's a collector, her hoarding actually led to a creative project at nursery (they didn't know where to put all her treasures anymore) where they removed all toys and exchanged the with stones, leafs, sticks, acorn, rose hips. They saw that the kids started to explore their new toys and became more creative, how cool is that. 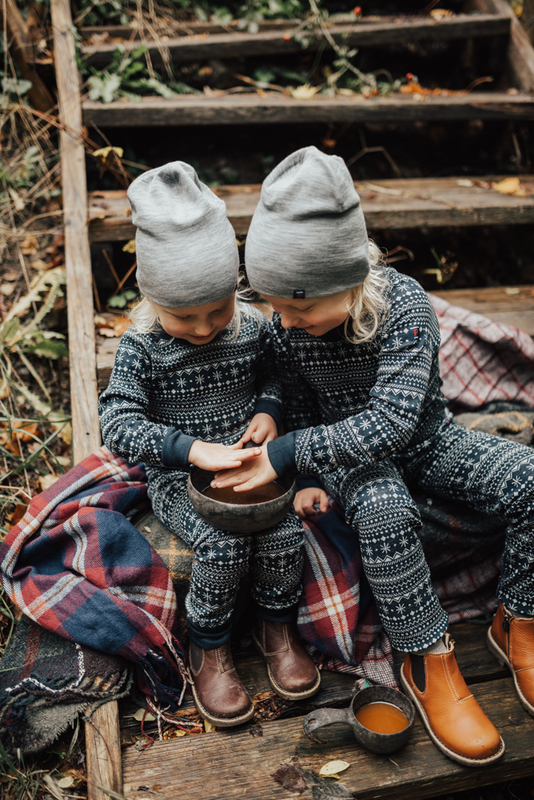 We were asked by Polarn & Pyret to try out their new wool collection and my kids have always been wearing wool thermal layers from Polarn & Pyret. I love how wool just warm up your body as soon as you put it on. How quickly it becomes one with your body, like an extra layer of comfort and calm in a way. This weekend it was still warm outside, but for the coming months we will need another two or three layers of clothes to stay warm och cosy. But for now I'm just going to enjoy the warmth from the sun, and pour another hot bowl of sea buckwheat soup. You just have to try it. If you want to go a little bit more wild add sour sea buckwheat just as they are and eat together with tiny crunchy almond cookies. It would also go perfect with some softly whipped cream or ice cream on top.